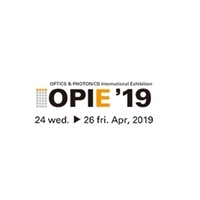 The Fraunhofer Institute for Laser Technology ILT, at this year’s Hanover Fair, demonstrated the role of laser in printed electronics industries. In recent years, the demands placed on component-integrated electronics have risen so sharply in many industries that they can often no longer be met with conventional electronic components. As an alternative, printed electronics is on the advance and laser play an important part in this process. 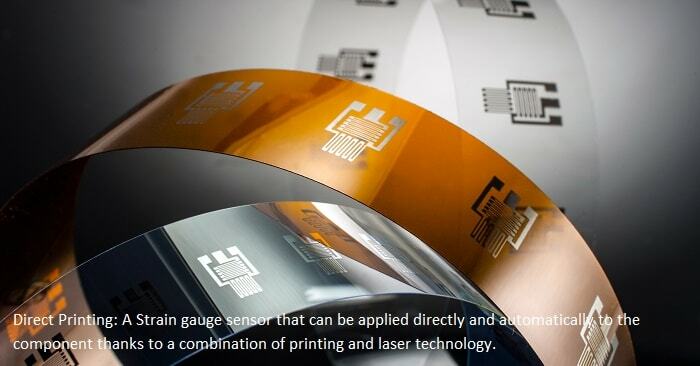 Fraunhofer’s highlights at the event included the directly printed strain gauge sensor, the locally gold-plated contacts and the electrically conductive glass fiber fabric. Fraunhofer ILT's Thin Film Processing group specializes in the post-treatment of coatings using lasers: One of its focal points is the laser-based treatment of printed, thin electronic layers. Wet coating processes such as inkjet, pad or dispensing printing and many others are used to deposit the necessary materials onto the components to integrate electrical functions into them. Depending on the process, different layers can be applied which vary in thickness, width or structure. However, all layers have a common denominator: They require heat post-treatment, which is carried out conventionally in a furnace, for example. 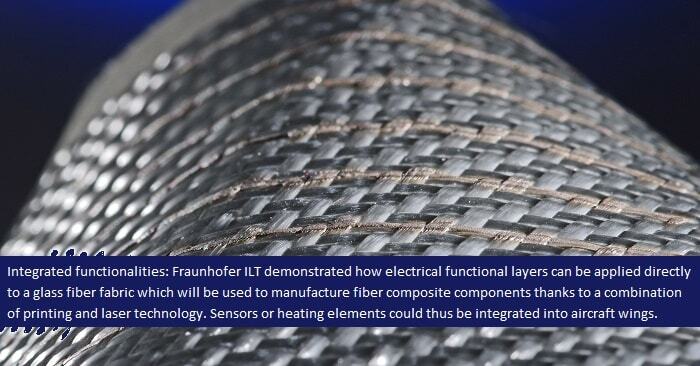 The post-treatment using furnaces can take a long time and is very energy-intensive because the entire component is heated, explains Dr. Christian Vedder, group leader at Fraunhofer ILT. In its place, a laser beam can be used, which works much more precisely and quickly: It can process small structures on components in such a short time that the coating can be heated locally to temperatures above the damage threshold of the component, but without damaging the component itself. Laser processing takes place in two steps: First, the laser beam dries the layer to remove solvents. As a result, only the functional particles, for example silver, gold, etc., remain. The laser then partially or completely melts these micro- or nanoparticles and connects them so that they can conduct electricity, for example. 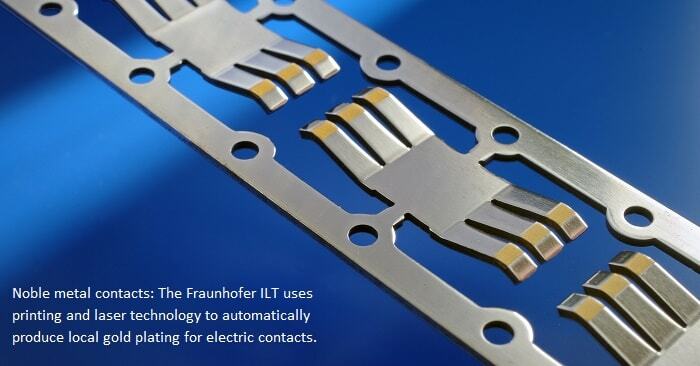 Fraunhofer ILT also demonstrated its capabilities in this field, for example, with an additively manufactured strain gauge that can be used to measure the elongation of a component. The Aachen researchers have developed a method for directly applying the sensor to substitute the conventional foil strain gauge, which commonly has to be applied manually to the component. To achieve this, the scientists deposit an insulation layer on a metallic component, onto which a measuring grid including conductor paths is printed by means of inkjet or aerosol jet. All post-treatment is done using laser radiation. If necessary, a final encapsulation with a further insulation layer follows. Fraunhofer presented the design and functionality of a demonstrator in Hanover. They showed how the electrical resistance of the additive measuring grid changes under mechanical stress. In addition, they presented a variety of different geometries. Results of the Fraunhofer lighthouse project »Go Beyond 4.0« was also displayed: The Fraunhofer Institutes ENAS, IFAM, IWU, ISC, IOF and ILT are working on the application of electronic functional layers on components from the automotive, aviation and lighting sectors. These development activities are particularly interesting for vehicle manufacturers who install a great deal of electronics in cars and trucks – ranging from the windscreen wiper control over the camera module in the bumper all the way to modern sensors. With the new technology, it will be possible to individualize mass components, such as doors, using digital print and laser processes. In the future, electrical signal and power interconnects for different car configurations may be applied directly and automatically to the components, without having to keep individual cable harnesses available. In addition to printing electrical conductors, this technology enables the integration of new sensors and lighting elements. Fraunhofer is starting with surface structuring using laser ablation: Cavities of almost any shape can be manufactured which will then be coated with an electrical insulation layer using digital printing technologies. The laser post-treatment of the insulation layer is followed by printing another layer of electrical conductors or sensors and their laser-based post-treatment. In Hanover, the Fraunhofer ILT displayed further applications for the combination of printing and laser technology. One approach demonstrated how plug contacts can be gold-plated more selectively than before: The gold is only applied at spots where the electrically conductive contact is actually required. The approach boasts many advantages: Not only does the process reduce the amount of gold needed – compared to a fully gold-plated part – but it has a design flexibility and independence from long delivery times that plague the industry. Battery manufacturers might be interested in a laser-based method for drying battery electrode layers that are prior deposited as pastes to copper foils. This method saves energy and installation space, two added advantages.